In 2009, my digital input was low, often making only one picture a day. This is a rare case of such an instance where timing paid off. It would not be until 2010 that I procured my first iPhone and my first Digital camera. The first digital camera I owned was not a DSLR, rather a point and shoot. A Canon G11. It served me well. Flickr was launched on February 10, 2004 by Ludicorp, a Vancouver-based company founded by Stewart Butterfield and Caterina Fake. I stumbled upon it somehow in late 2004. At the time I was a bit over fiddling with my vicnet site and my tripod site I had at least one blog at the time on blogger.… Continue reading Rumination on flickr’s popularity? I spent Friday, wandering between exhibitions and other locations I wanted to visit. All on foot. The light this summer has been softer than usual. I’ve been trying to exploit this. I walked back from dropping my car off for a service on Monday too. So my main digital project on Tumblr, pc30320, got a nudge forward this week. 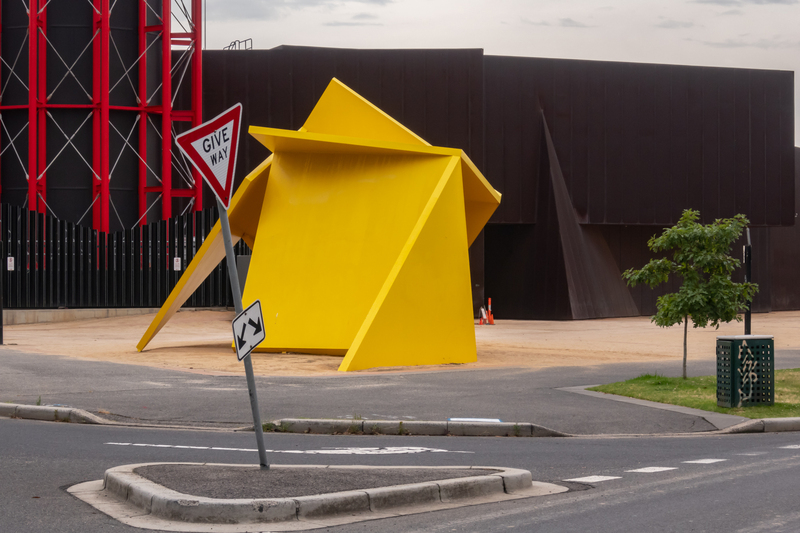 The Vault, a controversial sculpture has been in this location outside the Australian Centre for Contemporary Art since 2002. I have various pictures of it as it has been moved. It has its own group on flickr as well. The Vault sometime in the late 80s early 1990s by the Yarra River. It is to my mind an interesting sculpture, but one that requires to the space to step back and take in the whole object from a distance. This is easily achievable at its current location.